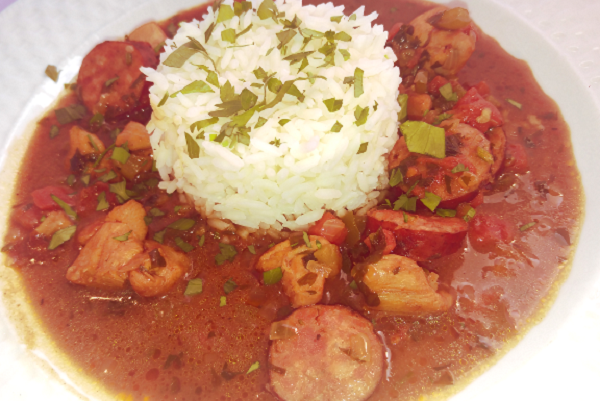 Chicken and Andouille sausage gumbo in a dark roux together with the holy trinity - bell pepper, onion and celery - served over white rice. 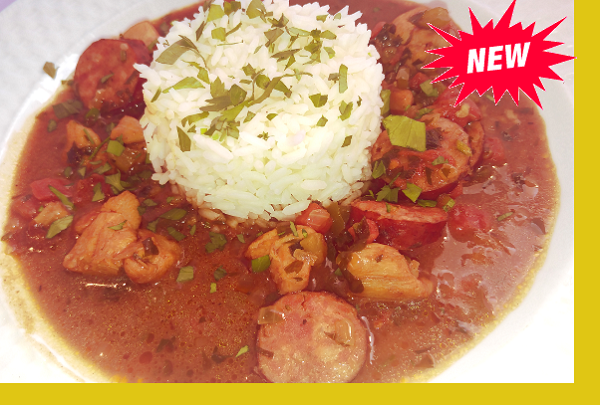 Serve up New Orleans' best, right at home! Coat a skillet with oil and heat on medium heat. Saute sausage 3 mins. Add chicken and saute for 4 more mins. Add gumbo mixture and bring to a boil on high heat. Reduce and simmer for 5 mins. Reheat rice in microwave for 3-5 mins and serve. this gumbo has a lot of flavors and just enough heat. I made it and mixed the rice in with it and let it sit overnight...that always enhances the flavors! Easy, quick, delicious dinner! Almost had a taste of a stuffed bell pepper soup. Wasn't a traditional gumbo - but it sure was delicious. Will order again!